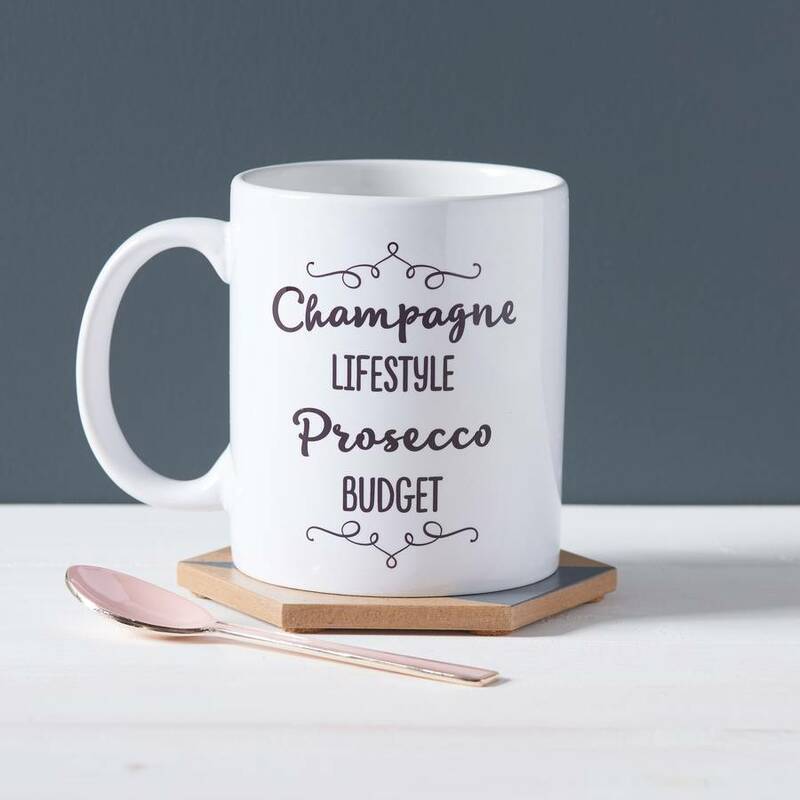 This cute and stylish champagne and prosecco inspired mug makes a unique and humourous gift to a loved one or friend. Our stylish mug is made from ceramic and customised in our sunny Brighton studio. Each Mug is sent boxed and packaged with bubble wrap to ensure they arrive safely. You can see our complete range by following the Owl & Otter link, or the 'See Sellers Complete Range' link, both found on this page. White ceramic mug with a handle.